Popular American crime drama, television series Sons Of Anarchy is a genius blend of outlaw biker culture and Shakespeare’s Hamlet – which lets be honest, had us hooked from the start. 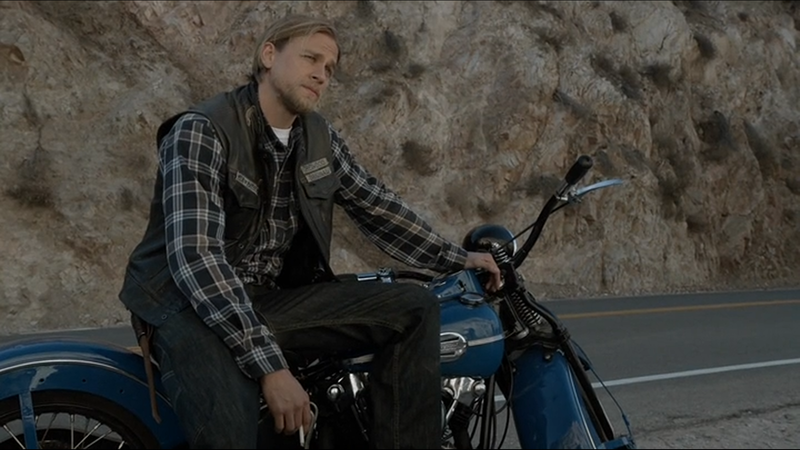 The series centres around the personal life of protagonist Jackson ”Jax” Teller (Charlie Hunnam) and the motorcycle club Sons Of Anarchy of which he is the vice president. On the outside, the club appears to be nothing more than a group of law abiding citizens who love riding bikes and causing harmless trouble, but in reality what they are involved in is much darker…much more sinister…and much more dramatic. Gun-running, gang wars, dealing with corrupt politicians and fending off the law has become a way of life for the club – which has Jax reflecting on the legacy of his father and club founder: John Teller. Sons Of Anarchy first appeared on our screens in September 2008 and almost immediately became a huge success among viewers and critics. And if you haven’t already watched the series…I simply ask of you: what are you doing with your life? Not surprisingly, things have changed a lot for the stars since the series began over a decade ago. But what goes on at home for these stars? Or more importantly, who is at home for these stars? Charlie Hunnam plays the role of Sons Of Anarchy heartthrob Jackson ”Jax” Teller, who is the husband of Dr. Tara Knowles (Maggie Siff). As with any couple, Jax and Tara have their ups and downs; their love for each other and their two boys nevertheless keeps their relationship strong.